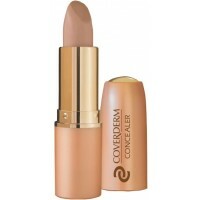 A very light, finely textured cream applied under COVERDERM Classic Foundation or Perfect Face Waterproof Makeup. 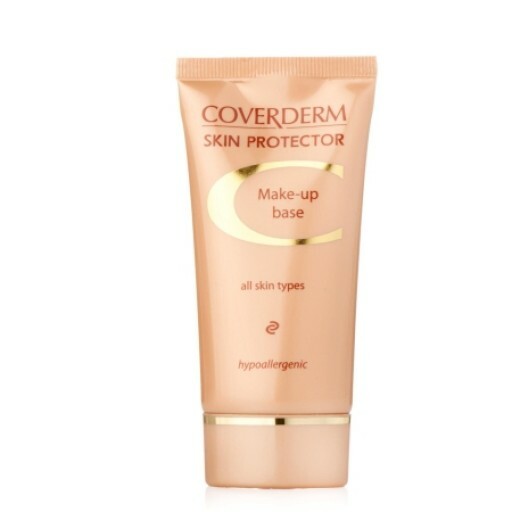 COVERDERM is the worlds first in cosmetic camouflage, perfect face make up, and very high protection sunscreen, which provide a long-lasting, even coverage without clogging skin pores. 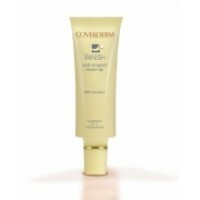 The CVD Skin Protector provides a natural finish with long-lasting effects. 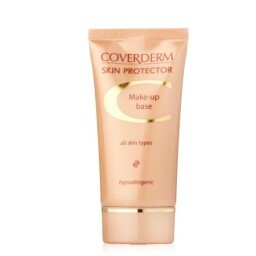 Enriched with special ingredients that render hydration and form a barrier-film onto the skin, providing smoother application of the make-up while protecting from environmental damages. Suitable for all skin types. Aqua, Paraffinum Liquidum, Petrolatum, Propylene Glycol, Glyceryl Stearate, PEG-100 Stearate, Cetearyl Alcohol, Glycerin, Ethylhexyl, Palmintate, Ethyhexyl Methoxycinnamate, Dimethicone, Cetyl Esters, PVP, PVP/Eicosene Copolymer, Cera Alba, PEG-20 Stearate, PEG-8 Stearate, Allantoin, Cetyl Alcohol, Titanium Dioxide, Sodium PCA, Sodium Lactate, Glycine, Fructose, Niacinamide, Urea, Inositol, Sodium Polyacrylate, Alumina, Silica, Phenoxyethenol, Ethylhexlglycerin, Caprylyl Glycol, BHT, Disodium EDTA, Parfum. 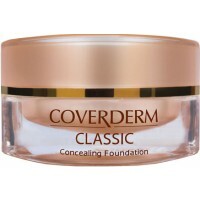 Applied under COVERDERM Classic Foundation or COVERDERM Perfect Face Foundation, the Skin Protector provides the perfect base. 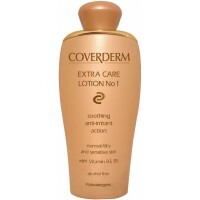 Use fingers to apply sparingly and spread to the entire face.